Yesterday's craft fair was a grand success. I did not expect it to be. I attribute it all to this crazy cute apron that my mom sweetly made for me. Can you even handle the fabric? It is ridiculous! 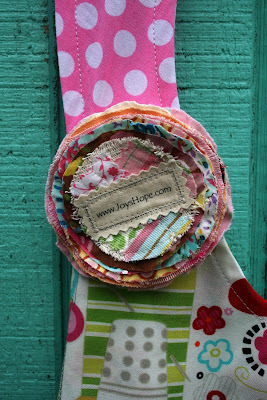 As well as this gorgeous pin from Tracy B. To buy this carrier of all things happy. at a random craft fair and sell their purses for 95% off? But it's a pretty sweet knockoff, don't you think? Hey, I'm from Orange County. Aren't we supposed to be all about the fake? to pop up in the shop this week. So happy to hear the fair was a success! And that apron? Oh my! I gasped when I saw it - TOO stinkin' cute! I love the fake Coach! No one needs to know!! Wish I could get one!! We have a man that sells those Coach purses...that are oh so real...at a dry cleaners!! I've got some cute DG glasses from him too!! And I am excited to see the new items in your shop!! 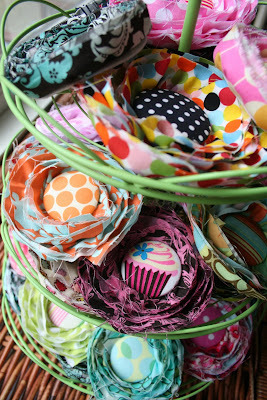 And glad to hear the craft fair was a success! Excited also for the mousepads to come to your shop! 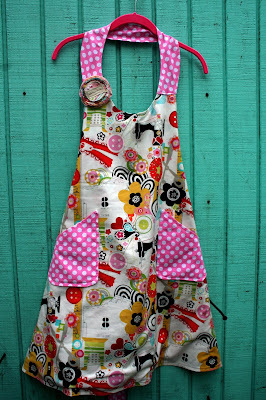 and, YES...that apron is ridiculous cute....love it! LOVE that apron! super cute! I have a similar Coach bag...I call it my "Foach". I also have a Prada..I mean "Frada". I am so happy to hear it was a success. I would have loved to have join you. Maybe in the fall. The apron is to die for. And I love the pin with the label. I'm glad the craft show was a success! My daughter's teacher came to class today wearing one of your pins and my dd was excited to see it. :) She said, "Hey! That's a Cora pin! My mom has one of those too!"